A credit card may simply seem like a way to make transactions, but that little plastic card can cause a lot of damage if you're not careful. Using your credit card the right way is key to staying out of debt and protecting your credit score. Making any of these credit card mistakes could cost money and damage your credit. Credit card issuers make it easy to repay your balance by allowing minimum payments. Making the minimum payment on your credit card not only increases the amount of time it takes to pay off your credit card balance, it also increases the amount of interest you pay on your credit card. Don't just pay the minimum payment (unless it's part of your get out of debt strategy). Instead, increasing your monthly credit card payment helps you pay off your balance sooner and at a lower cost. Don't let your due date pass you by. Send your monthly payments on time. Come up with a system for remembering your due dates if you keep forgetting. Late payments can cost up to $38 in late fees depending on the number of times you've been late in the past six months. Falling behind by more than 30 days also impacts your credit score. And if your payment is more than 60 days late, your credit card issuer may raise your interest rate to the highest penalty rate. When you loan your credit card to someone else, you have no control over the purchases they make. In the end, you’re responsible for paying the bill, even if the person who borrowed your credit card doesn’t. Never loan your credit card unless you're prepared to pay for all the purchases they make. If you don’t open your credit card billing statement, you risk missing your payment due date or paying less than you should to be considered on time. Ignoring your credit card statement could cause you to miss important announcements about changes to your credit card terms. Your billing statement is often the first tip off to any fraudulent activity on your account. Always read your billing statement, if only to make sure that all the charges are accurate and that payments have been applied to your account correctly. Letting your credit card get charged-off. A charge-off is one of the worst things to happen to your credit report and your credit score. The charge-off listing will remain on your credit report for seven years and could effect your ability to get credit cards and loans in the future. It takes six months of missed payments to get to charge-off status. Bring delinquent accounts current before it gets to that point. Waiting to report your lost or stolen credit card. The longer it takes you to report a lost or stolen credit card, the longer the thief has to charge up your account. If you report your missing credit card before any fraudulent charges are made, you’ll have no liability for the charges. Report a missing credit card as soon as possible to limit your liability for fraudulent charges. Charging your credit card balance beyond 30% of your credit limit is dangerous to your credit score. Getting close to your credit limit puts you at risk for over-the-limit fees and penalty interest rate your credit card charges when you exceed your credit limit. Maintain a good credit card balance for a healthy credit score and manageable payment amount. Closing your credit card out of anger. Canceling your credit card account will seldom get you anywhere with your credit card issuer. It will almost always cost you credit score points as you drive your credit utilization up. Leave credit card accounts open until you're sure closing the card won't hurt your credit score. Applying for too many credit cards at once. Each credit card application has the potential to knock points off your credit score. If you apply for several credit cards within a short period of time, you might notice the denials are more frequent as lenders start getting suspicious about the sudden onslaught of credit card applications. Apply for new credit cards one at a time on an as-needed basis. Not knowing your credit card terms. Knowing how your credit card company handles late payments makes you more likely to pay your credit card bill on time. 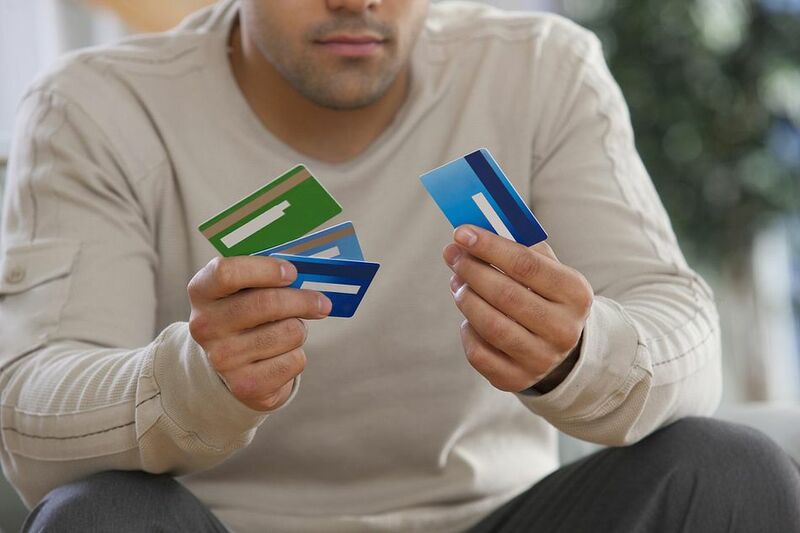 Knowing your credit card terms give you more control over your credit card costs. You know how you should and should not use your credit card based on how your creditor will respond to your actions. Review the terms of your credit card at least once or twice a year (you can find them at your credit card issuer's website or request them from customer service).